Float therapy is a way to assist meditation through floating in a pod filled with salt water that matches your body temperature. Once inside, it allows one to reach a meditative state quickly, which helps with concentration, relaxation, and creativity. Several techniques will deepen your meditation and help you get the most out of your float therapy session. Here are 4 tips on how to effectively meditate during float therapy. Breathing is one of the important parts of meditation. As you clear your mind and begin to relax, you should focus on your breath and how it feels. You can take deep breaths and hold them for a few seconds, then release. As you release, try to feel how it exits your body. You can do the same as you inhale. As you become more aware of yourself inhaling and exhaling, you will be able to release tension in your body. Float therapy helps with this as well, because your body feels suspended in air. As you breathe in and out, you feel lighter, as if you’re in space. Along with noticing how your body feels as you breathe in and out, focusing on parts of your body that are more tense will help release stress in those areas. As you breathe in, focus on one part of your body. As you exhale, imagine yourself releasing the tension from that body part. You can do this with several areas of your body that might carry the most stress. Since you feel weightless in float therapy, releasing tension in your body will feel even better. The best way to practice visualizing is after becoming aware of your breath and body. Accomplish this through emptying your mind and thinking of an image or idea. This can be a positive affirmation or a visual idea, such as a light shining throughout your body. Then, if there are any external or internal problems you are experiencing, inhale and exhale, releasing those stressors. You can imagine these stressors as dark clouds, or as smoke that you are letting go of as you breathe out. Staying dedicated to meditation can be difficult if you are just starting out, or if you are finding it hard to focus. It is important not to let your mind wander and to allow yourself to stay calm. You can think about certain topics, as long as you can acknowledge them and let them go. Let go of thoughts whenever you exhale. Topics you can focus on during meditation are self-love and mind exploration. You can try to dig deeper into the depths of your mind and learn about yourself. This will help with epiphanies and realizations you might have about yourself. If you are having negative thoughts about yourself, release them as you exhale. Following these techniques will increase the effectiveness of meditating during float therapy and in regular meditation. 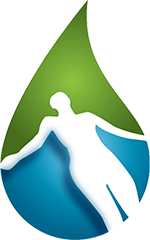 At Northwest Float Center, we aim to give you the best float therapy session possible. Book an appointment with Northwest Float Center online or over the phone at (253) 212-0360.